Softens calluses. Effective against rough and brittle skin, foot perspiration and foot odour Active Ingredients: Urea, emollients, camphor, lavender oil, oil of rosemary, oil of mountain pine, oil of thyme The well tried combination of active ingredients such as mountain pine oil, lavender oil, and rosemary oil with urea helps to alleviate a lot of foot problems. 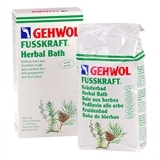 Even persistent calluses, weals and corns are thoroughly softened. Urea also maintains the elasticity of the skin and is mildly antiseptic and deodorizing. 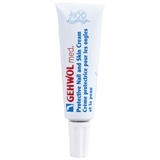 If the skin around the nails is dry and the nails are cracked and broken, GEHWOL Med Protective Nail and Skin Cream is ideal. Besides protecting against fungal infections with clotrimazole, they offer a rich treatment of wheat germ oil, panthenol, and Bisabolol to care for the skin and the nails. Rich moisturizing body massage cream with special active agents.You can use the spa facilities, hospitals, physiotherapy and for massage pleasure Its unic formula with * Coconut Oil * Avocado * Olive Oil * Hyaluronic Acid * Collagen moisturizes,regenerates and revitalizes the skin, making it healthy,bright and flexible Recommended for all kin types. To use: Apply sufficient quantity to skin and massage with smoothing moves.